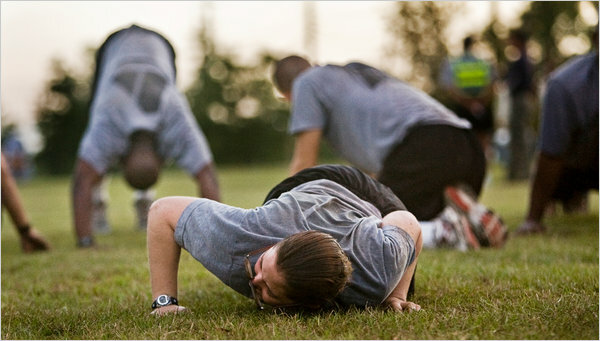 An interesting article in the New York Times referenced the changing training regiment of the military because of the physical limitations of overweight recruits. According to officers, soldiers today are much more overweight than in the past. I can remember being at an airplane museum in Tuscon and looking at the tight quarters for pilots in World War II era bombers. The docent (himself a veteran of that war) commented that today's pilots have gotten too big for these planes. Too much McDonald's he said. We have an affluent diet and it is impacting even our national security. Is this what we are fighting for -to protect our indulgent way of life?